Michael F. Hupy | Hupy and Abraham, S.C.
Attorney Michael Hupy - President of Hupy and Abraham, S.C. Through Attorney Hupy's leadership during the past three years, the firm has donated more than $500,000 to worthwhile organizations and causes. Attorney Michael F. Hupy is the senior partner in the billion dollar law firm of Hupy and Abraham, S.C. overseeing 11 offices in Wisconsin, Illinois and Iowa. In his career he has achieved multi-million dollar results for clients including a $22 million award for an injured child. Through Attorney Hupy's leadership during the past three years, the firm has donated more than $500,000 to worthwhile organizations and causes. 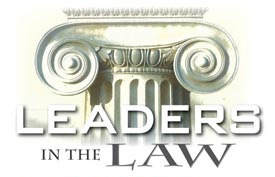 In December 2008, Wisconsin Governor Jim Doyle presented Attorney Hupy with a Certificate of Commendation for many years of leadership in making "the community a better place to live." The Governor previously publicly thanked Attorney Hupy for his help in reversing a unanimous Wisconsin Supreme Court decision that could have reduced damages for injured motorcyclists. 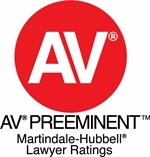 Attorney Hupy has been AV Preeminent Rated by Martindale-Hubbell for more than 20 years. 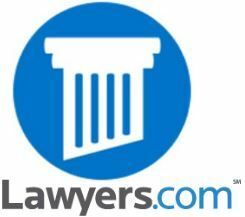 This is the Gold Standard of Lawyer Ratings - highest possible peer review rating in legal ability and ethical standards - and has been since 1987. 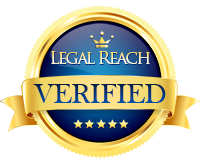 This award is the pinnacle of professional excellence earned through a strenuous Peer Review Process that is managed by the world's most trusted legal resources - not made up ratings and scores based on posts, reviews, and responses to public forums. The service is always thorough and concise. The communication between the firm and client has always been consistent, as well as the ability to reach counsel without issue. I have used the services of Michael Hupy and his firm on multiple occasions spanning more than 40 years. I have never been disappointed. Great service, great staff and great outcome. Thank you. Attorney Michael Hupy, thank you for helping so many in need, and for helping nonprofits, arrive successfully to accomplish their goals. You are a true partner in so many areas! Congrats too on the many awards and acknowledgments as well! God bless you and the good work you do! I just wanted to let you know how impressed I am with your firm. You have been very professional and have kept me up to date with what has been going on with my case. Any questions I may have your office has answered promptly and with utmost professionalism. Your employees are very hard workers who I hope your company values. I will recommend your firm with the utmost confidence and enthusiasm. Thank you kindly for everything you've done for my sister. May you be blessed today and everyday—I have and will continue to recommend Hupy and Abraham to any and everyone I know. Attorney Michael Hupy is proud of the firm’s integrity and welcomes you to post your own review. If you had a nice experience with Attorney Hupy, let us know. We enjoy receiving feedback from our clients and we’d love to hear from you. 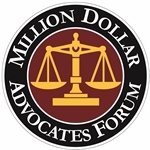 Attorney Michael Hupy, thank you for helping so many in need, and for helping nonprofits, arrive successfully to accomplish their goals.You are a true partner in so many areas! Congrats too on the many awards and acknowledgments as well! God bless you and the good work you do!